Parking garage is located on 12th Street between Peachtree and Juniper. Valet parking is available daily for $5 per car. STK artfully blends two concepts into one—the modern steakhouse and a chic lounge. A large central lounge area is furnished with creamy leather banquettes and textured crocodile tiles, and is surrounded by an elevated dining room for more formal dining. Theatrical lights illuminate each table, while a DJ creates an energetic vibe throughout the entire space. STK Atlanta is located at 1075 Peachtree Street in the heart of Midtown Atlanta. As anticipated, steak is the main attraction. With a female-friendly mindset, STK offers small, medium and large cuts of meat, as well as naturally raised options and market fresh fish entrees. 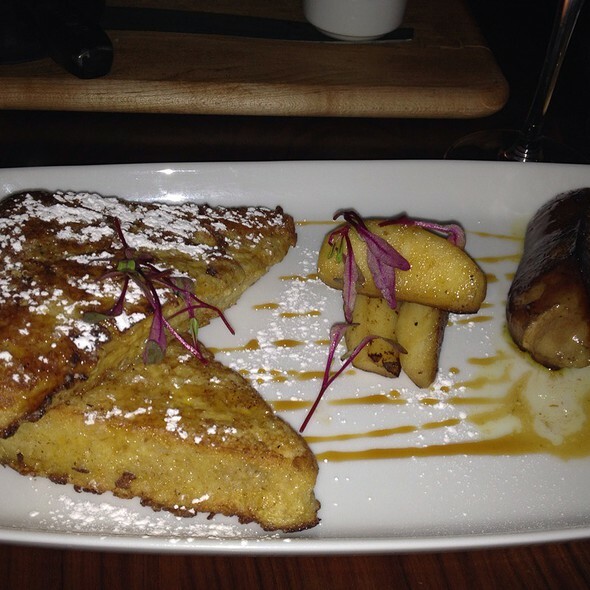 Aside from steak, signature items include Parmesan Truffle Fries; Lil’ BRGs; and Sweet Corn Pudding. I liked the atmosphere. Service was very good and the food was well prepared. I would go back. 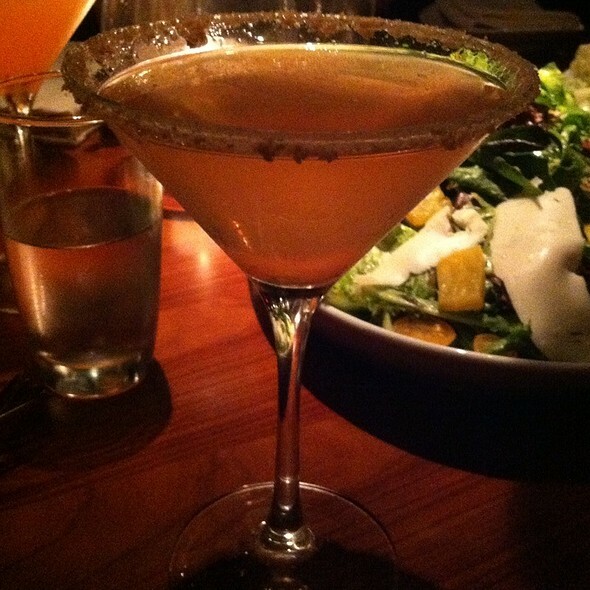 I love the vibe at STK--great ambiance, great people watching, attentive service, good food, etc. Seating at some booths can be tight, particularly if anyone in your party has long legs. The bar area is spacious for grabbing a drink before being seated. Our waiter was new, but obviously knew the menu well and made thoughtful recommendations. Will definitely be back. Absolutely pleased with my experience as usual this is my favorite restaurant to dine at and I highly recommend it 5 star service 5 star atmosphere. Rough night for STK Atlanta. Started off extremely difficult. Had a reservation waited for 45 minutes on top of being 15 minutes early to the restaurant. Clearly the hostess and waiter were overwhelmed. We waited for a while and after clearly displaying frustrated faces Sarah came over. She stepped in introduce herself and let it be known she can also helped us! She as well as Glenn assisted us all night with our needs. The tables were around us were super annoyed yet anything I asked of Sarah and Glenn happened immediately. I thank them and will definitely specifically request their service next time! Thanks for going above and beyond on such a challenging night!! Server completely forgot to write down my entree order , then blames it not hearing me over the loud music , that’s no excuse , she should of went over both our orders before walking away !! offered to put it in after my husband received all his food . Ruined the entire Experience, then she Blocked out her name on the receipt , will never return . I made a reservation for 7:45 and wasn’t seated until 8:50. 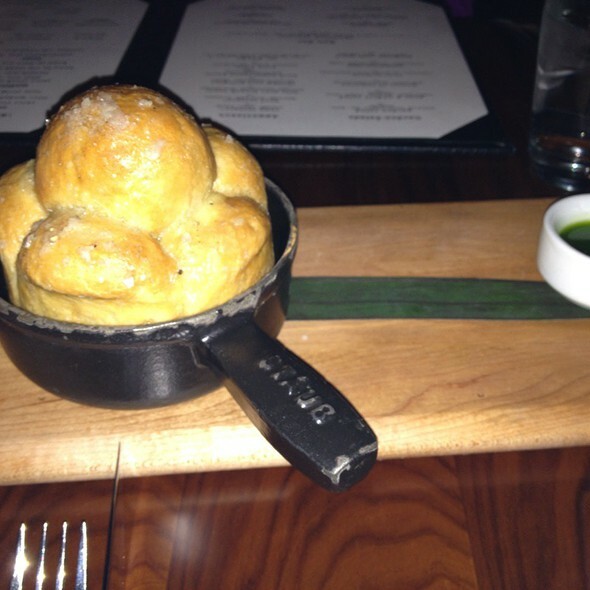 They brought our bread out after we received the dinner. I ordered my steak well done and it came out bloody. Went sent back, they brought it back crispy and burnt. My waiter was great but everything else was horrible. Service was exceptionally slow/inattentive and hostess sat us at a table when an exposed pipe was overhead. Pipe was sweating and dripping on to the table. Manager moved us but no consideration was given on the check. Our waiter was terrible. He messed up our order multiple times and we never received one of the appetizers that we ordered. He seemed more interested in flirting with another person on the wait staff than on serving our table. We frequently ran out of water and had to ask for the check 3 times before we got it. When we did get it, we got charged for the app that never came out. Terrible! My food was cold, wrong food was brought out that I didn’t order and my salad was given to another table. The only thing they have going for them is a good DJ and nice decor. The food is sub par for what you pay and the service is past questionable. We had to ask for the extra set of dishes to be removed (reservation for 3 at a table for 5) then they literally sat food on to of dirty dishes instead of just removing them. Do yourself a favor and just go to Ruth Chris. 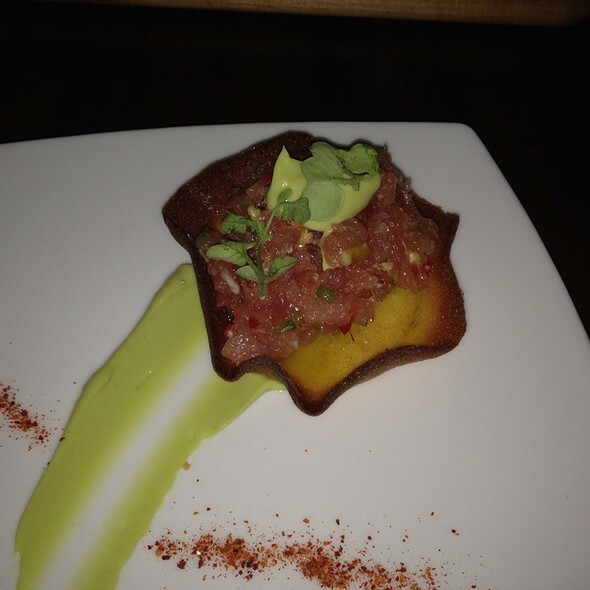 We were very excited to try STK, but such a disappointment. WAY over priced for the food taste and quality. We tried the wedge salad and the caesar, both were good but not special. Our table tried the crab legs and shrimp cocktail from the raw bar. The portion size was very small especially for the price (three pieces of crab leg and 4 shrimp), but it was fresh and tasty. We tried the market fish, 6 oz filet, the roasted cauliflower, sweet corn and french fries. The fish was well prepared, but completely different than the waitress description. One filet was over cooked. The corn was the best of the sides. The french fries are good, but they are potato wedges. For dessert we had the cookie which was over-baked and the chocolate cake which was just okay. 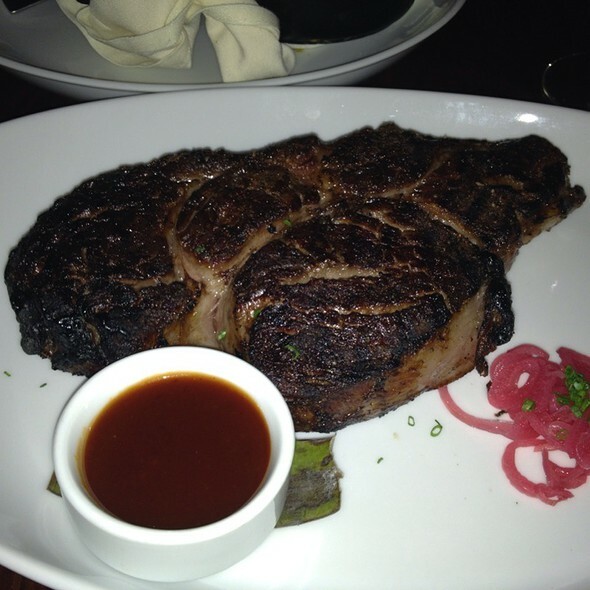 Bottom line is there are much better steak restaurants in ATL and we will not go back. Best service in Atlanta! 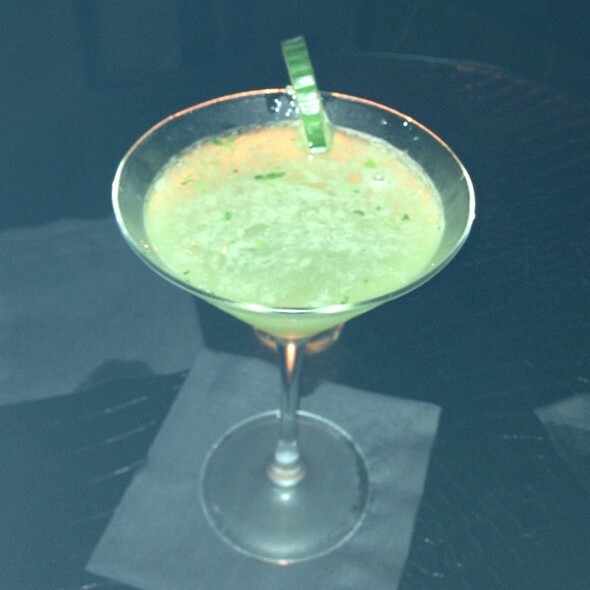 The cocktails are amazing! Everything was wonderful! From the friendliness of the host upon arriving, or waitress, to the food. Definitely recommends. Service was very slow. Think Val was doing other things instead of taking care of his guests. Steaks not cooked correctly and no one checked with us until way too late. Not what I expected at all. Very disappointed and very not worth the $! Many better steakhouses in ATL! Booked my best friends birthday dinner here and we had an absolute blast! The restaurant has a nice ambience...Very nice and upscale experience. Food was amazing and service was prompt! I came here for a birthday gathering on 3/26. The atmosphere was amazing. Someone had bought half the space in the restaurant so unfortunately we had a bit of a wait time but the manager compensated that by offering us drinks at the bar. Our server was Adam, who was amazing and greeted us. This being my 1st time dining at this location was a great one and i'll make sure to go back! Celebrated our Anniversary. The service from the bar to our intimate dinner table just inside the entry was outstanding. Our server Britt was fantastic! The greeter don’t recall his name accommodated our seating request as well. Great place for date night and the DJ was on the wheels of steel! Excellent food and wine but the music was so loud that you could feel the base on the music. I was disappointed because our waiter never came back to check on our dinners, my steak was under cooked & very tough to cut! Huge disappointment for an expensive filet. Music very loud & hard to carry a conversation. Probably will not return there, too many better options in Atlanta. It could’ve been a better experience had we not been placed on the floor by the door where no one else was really dining. It looked liked people were really enjoying themselves on the other side. Came up from Orlando, had reservations and sat in a secluded section and my rib meal tasted burnt. But luckily my daughter’s salmon was EVERYTHING though. Absolutely delicious. The waiters were amazing and even though my experience was a little less than desirable, I would revisit. 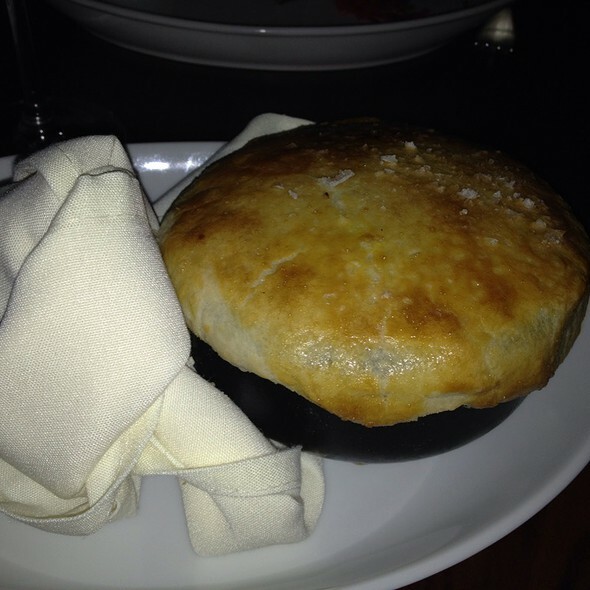 I have been to STK in various cities, and the one in Atlanta used to be higher on my list. All STKs are known for more of a party/lounge atmosphere, but I thought the Atlanta one had decent food as well. The steak I ordered had an odd consistency and flavor that I was not expecting. The layout and seating area to wait near the bar is oddly designed. It took at least 20 mins for a server to check with us while waiting for our table. I think I will reserve going to STK solely for random nights when I want to sit at the bar and have a drink and a basic meal. 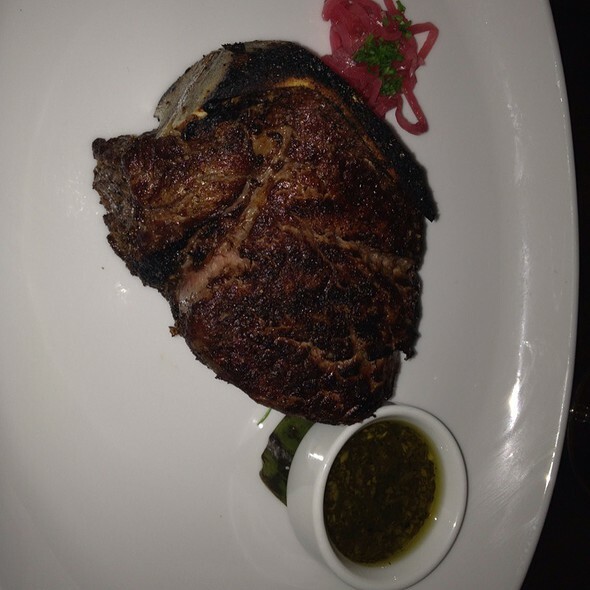 It is definitely overpriced compared to other steakhouses with higher quality food. The bleu cheese butter is to die for and I don’t even like cheese! The chicken was amazing and came with a delicious balsamic reduction. The side of creamy mash was so good it was hard to stop eating it! My bf got the flat iron steak and absolutely loved it with the bleu cheese butter as well! All in all a really fun experience and vibe in the restaurant. Only lost a star on how expensive it is for the extra sides and for the fact that my server forgot about our appetizer we ordered. We will definitely be coming back in the future! Fantastic atmosphere, food and especially service!! Will definitely be going back! Outstanding experience. It's ALL GOOD there. You get the trifecta of an upscale steakhouse, a popping bar scene and music that makes you feel like you're the cool club. The DJ, who's name I'm forgetting, was on point during our entire dinner. Vibe was excellent. Server (I think her name was Ashland) was personable, funny, and knowledgable. Glenn is a host at the front and he was everything that position requires. Anticipating our needs, dropping back by the table to celebrate my friend's birthday with us and just an overall joy to be around. We loved him. 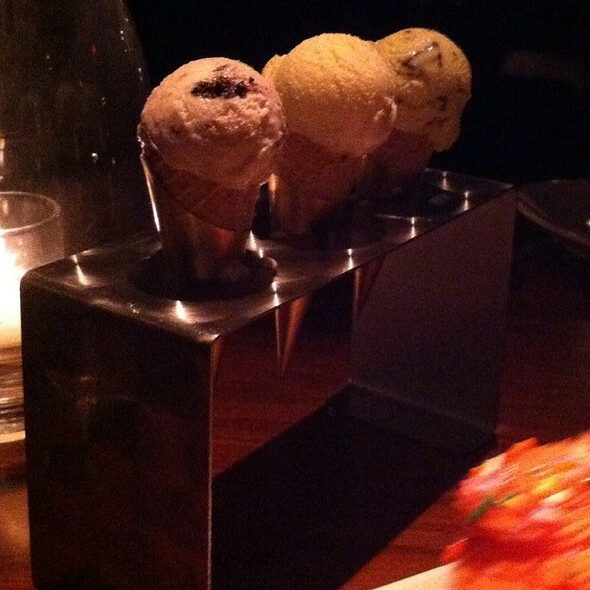 I had not been to STK in a while, however, this reignited my affinity for an Atlanta favorite. The Ambiance of the place was very nice. I didn't mind the prices but the food and services was not worth the price. If I'm spending $150 I should not have to ask another waiter for a refill because our waiter didn't come back. Did anyone turn in a set of house keys? I’m missing keys from Friday night. One of the keys has an Atlanta Braves logo on it. The server asked why we were only order apps and this was for dinner reservations. We was on business meeting and I was very disappointed and appalled at the audacity for him to ask this. I still left him a sizable tip but very disappointed that STK staff would do such a thing. Very disappointed and embarrassed as this was a suggestion from myself to meet there. Great food and service but the music as a little loud to enable conversations. Amazing food, the oysters are amazing and so were the steaks! A+! Highly recommend and would eat there again!